CLARK COUNTY — Vancouver school teachers voted overwhelmingly on Monday to authorize a strike if a new deal can’t be reached with the district by the first day of school on Aug. 29. Out of the union’s 1,648 members, 1,234 voted, with nearly 93 percent approving the potential strike. Strike votes are expected this week by Battle Ground teachers, along with possibly Hockinson, Washougal and Evergreen. The Vancouver vote results come after Ridgefield teachers voted overwhelmingly last Friday to authorize the district’s first strike if a deal isn’t reached by next Wednesday. Right now the district is offering a pay increase of slightly over 15 percent. “Our teachers, our administrators, all of our support staff — everyone desperately wants to see kids here on the 29th, and allow all of us to do what we do really well, and that’s educate Ridgefield’s kids,” says Ridgefield superintendent Nathan McCann. 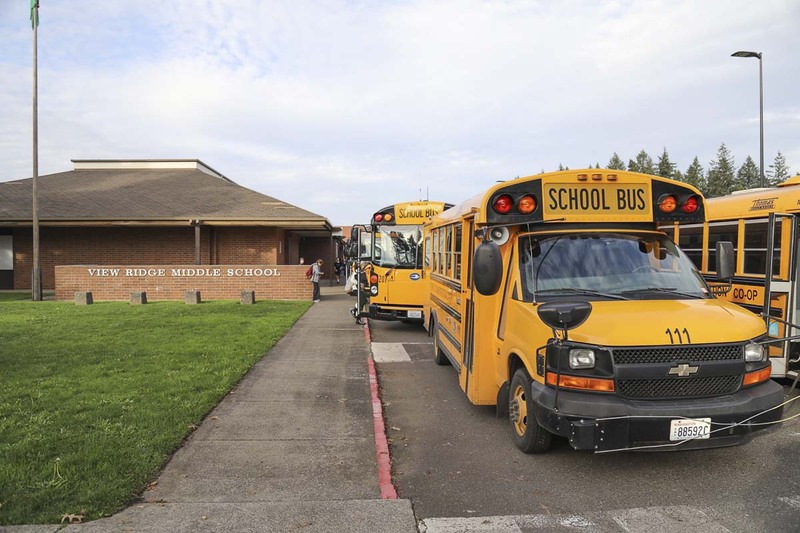 The Ridgefield Education Association has been pushing for a raise of 25 percent, accusing the district of withholding some of the $2.6 million they received as part of the legislature’s $2.1 billion package to fully fund basic education in the state. With the clock winding down and tensions building, Battle Ground, Ridgefield, and Hockinson have asked for state mediation in negotiations. Washougal has reportedly requested joint mediation. Battle Ground’s most recent offer was 6.5 percent, a far cry from the 23 percent that teachers have been pushing for. Much of the fight stems from the legislature’s McCleary decision, providing additional funding that was intended for teacher salaries, as well as classified staff at many districts. At the same time, starting next year, the amount of funding districts can receive from local operating levies will be capped. Large amounts of that money have been used to pay for Time Resource and Incentive (TRI) pay for teachers. While TRI pay was initially intended as a way to compensate teachers for work outside of their contracted time, it has largely become part of the competitive package that districts offer to lure and keep talent. With McCleary, many districts are now pushing to eliminate or reduce TRI pay, while increasing base salary. Kelso School District, which just reached a deal with its teachers, eliminated TRI pay entirely. Ridgefield is looking to cut TRI pay to around five percent, and eliminate what are known as ‘’deemed done’’ days. That means the TRI compensation would be attainable only through completing specific additional tasks. McCann says, once you figure in the reduction in TRI and the actual new money, most teachers would see their base pay increase by around 25 percent next year. McCann believes Ridgefield offers competitive pay, good schools, and comparatively low class sizes. As proof, he says they’ve been able to hire new teachers away from places like Evergreen, which has the highest average pay in southwest Washington, along with Vancouver and Battle Ground. That’s part of the argument in Washougal, where teachers say the district has been routinely ending each year with a large fund balance, while they struggle to keep nearby districts from poaching their talent. Washougal says they need that money to weather the storm of reduced state funding over the next few years. The district’s most recent offer was a 15.56 percent raise, while the teachers have been pushing for 25. Again, the district argues that funding for TRI pay is going away, with the local levies being capped, so the additional money for the state has to go into covering that existing compensation. Be sure to keep following ClarkCountyToday.com for updates on negotiations as we get them.